The central active portion of the high bog at Derrinea features an extensive area of pools, quaking flats and well-developed hummocks. Areas of Rhynchosporion vegetation are largely confined to this central active area. The pools are generally dominated by the bog moss S. cuspidatum, which is usually accompanied by S. auriculatum, White Beak-sedge, Bogbean (Menyanthes trifoliata), Common Cottongrass (Eriophorum angustifolium) and Bog-sedge (Carex limosa). The site supports two large pools (15 to 25 m in diameter) and these are infilling with rafts of Rhynchosporion vegetation. Surrounding the pools, quaking flats have good bog moss cover, with the moss Campylopus atrovirens and Great Sundew (Drosera anglica) also present. The hummock-forming bog moss S. imbricatum is found around the pools. 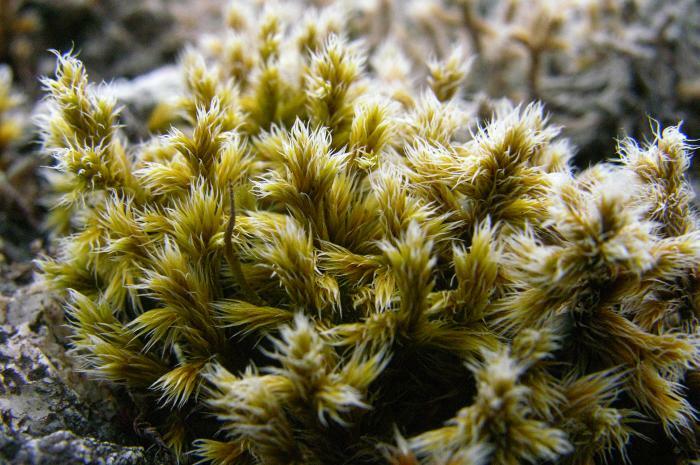 The scarce Sphagnum recurvum var. tenue has been recorded from the site. Other species which occur on the hummocks include Heather (Calluna vulgaris) and Cross-leaved Heath (Erica tetralix). The vegetation of the degraded bog areas tends to be species-poor and dominated by robust plant species such as Carnation Sedge, Heather, Deergrass and Bog Asphodel. 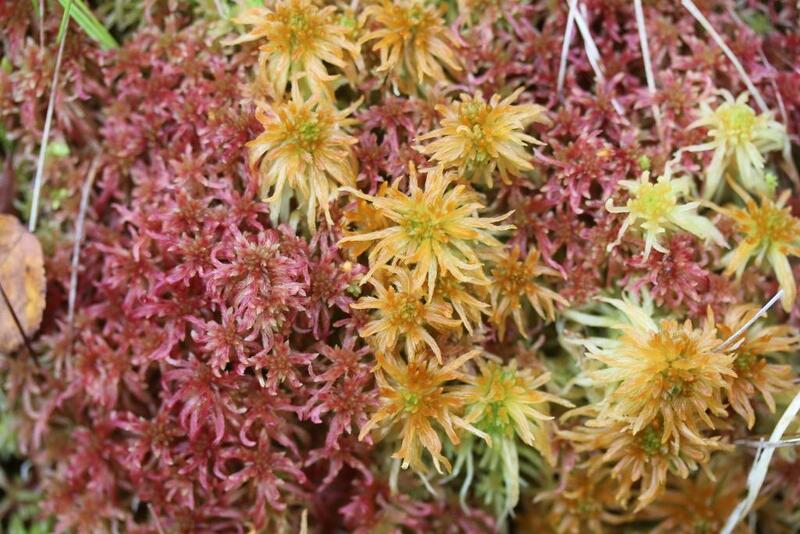 The Sphagnum cover is usually less than 30% and pools are rare. Locally, in areas where there are pronounced surface slopes, there are erosion channels dominated by White Beak-sedge. A small area of heath, developed over a till mound, occurs at the southern end of the bog and this adds to the ecological interest of the site. It has an almost complete cover of Heather, with occasional Sessile Oak (Quercus petraea). Whilst much of the high bog surface at this site is partially degraded due to drainage and turf cutting, the active bog is still remarkably wet and of good quality. But peat cutting will cause further degradation to the raised bog habitats. Derrinea Bog has extensive wet areas composed of central and sub-central ecotope and active flush. Pools are abundant in the central ecotope and are of the type characteristic of western raised bog, frequently having a low Sphagnum cover. Other western indicator species such as the woolly Racomitrium lanuginosum, Campylopus atrovirens, and Pleurozia purpurea are also frequent on this bog. The overall Sphagnum cover in the central ecotope is approximately 40% with Sphagnum cuspidatum in the pools (along with occasional algae) and hummocks of S. capillifolium, S. austinii and S. fuscum all present. The inter-pool area is dominated by flats of Bog Asphodel (Narthecium ossifragum) and has a relatively low Sphagnum cover. 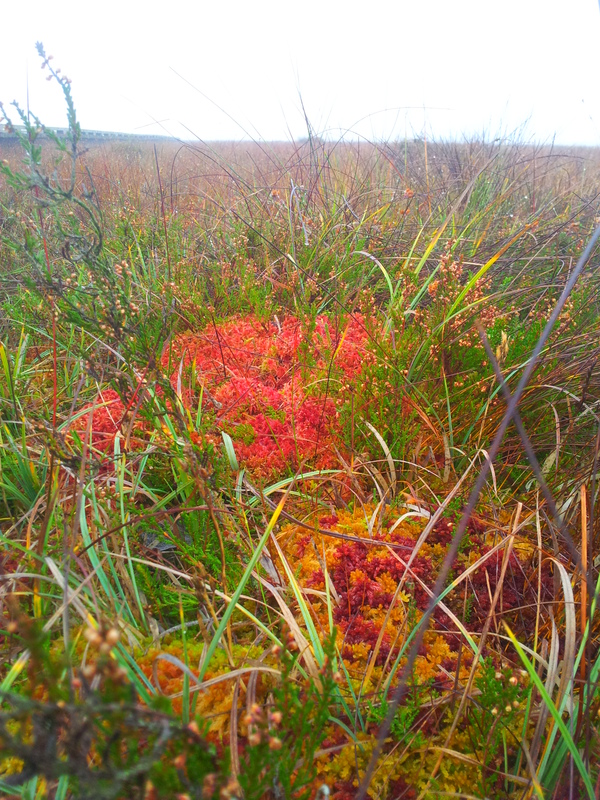 Towards the south and the west of the centre of the bog, sub-central ecotope dominates with pools being less frequent and the overall Sphagnum cover down to 10-20% (Fernandez et al. 2005). The cover of Carex panicea, another western indicator species is higher in this sub-central ecotope and there is also a small patch with a high cover of Rhynchospora alba and Bog Cotton, common cottongrass or common cottonsedge, (Eriophorum angustifolium) and Hare’s Tail Cottongrass (E. vaginatum). There are also three infilling pools on Derrinea that are considered to be active flushes. These pools support the highest cover of Sphagnum on the bog. The largest pool on Derrinea Bog covers an area of 0.7ha. This pool is almost completely covered with Sphagnum cuspidatum and S. denticulatum with S. papillosum and S. magellanicum found along the pool margins. Hummocks of S. capillifolium, S. austinii, S. subnitens, and S. fuscum are all present here along with flush indicators such as Molinia caerulea and Aulacomnium palustre. A second pool has a lush cover of Sphagnum including S. fallax in addition to those species present in the larger pool. Carex limosa covers large tracts of this pool where there is open water. A large variety of species has been recorded from this pool area including Juncus bulbosus, J. effusus, Pleurozium schreberi, Hylocomium splendens, Rhytidiadelphus loreus, Carex echinata, Aulacomnium palustre, Empetrum nigrum, Vaccinium oxycoccos, and V. myrtillus. The smallest of the pools is circular-shaped and covered with Sphagnum cuspidatum and Eriophorum angustifolium. The water table in this pool was recorded as being 0.5-0.7m below the surface in 2004 (Fernandez et al. 2005). 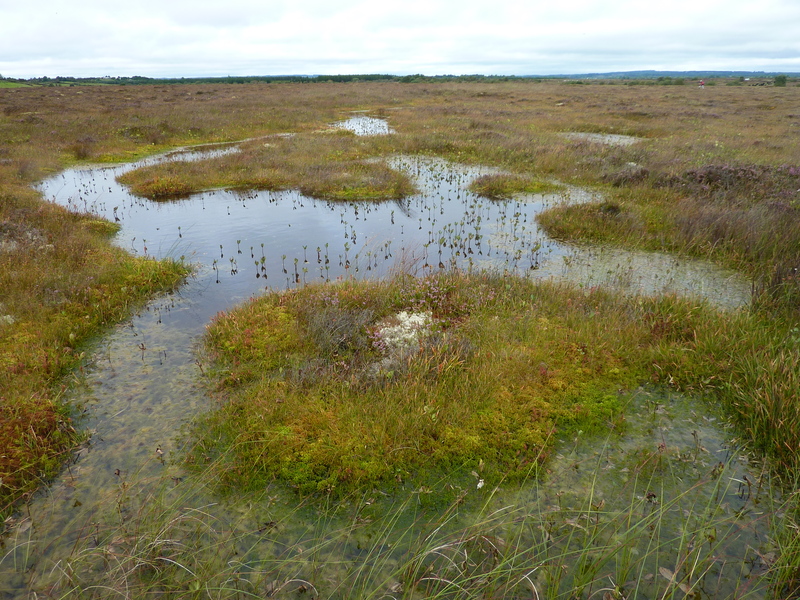 Within this small raised bog, approximately two-thirds of the uncut high bog dome comprises non-active raised bog communities, which are subject to drainage effects from drains on the high bog and the surrounding cutover. 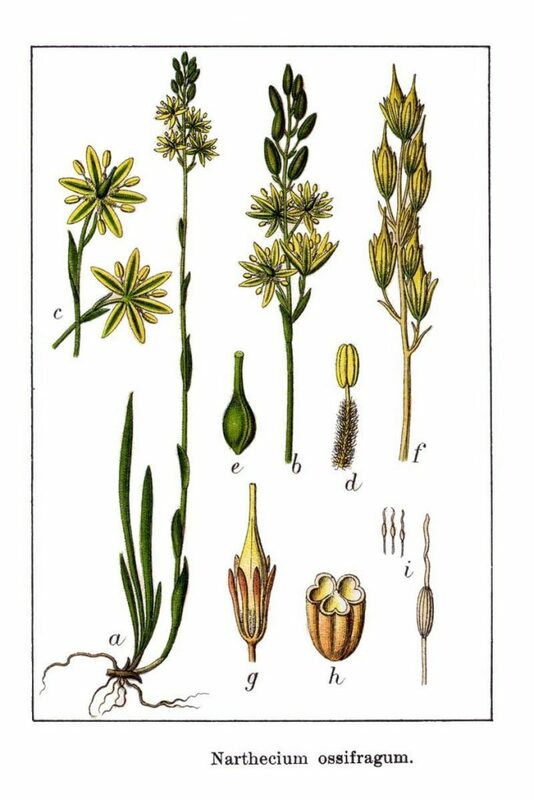 The vegetation of these areas tends to be species-poor and dominated by more robust plant species, particularly by Carnation Sedge (Carex panicea), Bog Asphodel (Narthecium ossifragum), Calluna vulgaris and Trichophorum germanicum. Locally, in areas where there are pronounced surface slopes, there are erosion channels dominated by Rhynchospora alba. The Sphagnum cover is usually less than 20% and pool areas are rare and where they do occur they tend to be tear pools largely devoid of plant cover. Areas of the Rhynchosporion vegetation are largely confined to the central ARB portion of this small site where there are numerous pool areas though there is also Rhynchosporion dominated vegetation in erosion channels in areas towards the margin of the bog. The largest area of this type of vegetation occurs to the west of the centre of the site in an area of sub-central ecotope where white beak-sedge (Rhynchospora alba) co-dominates the vegetation with Eriophorum angustifolium and E. vaginatum. White Beak-sedge (Rhynchospora alba) also occurs along the edges of the pools throughout the central and sub-central ecotopes being more frequent in the shallower, drier pools. It is also present in the three infilling pools and is usually accompanied by Sphagnum cuspidatum, Menyanthes trifoliata, and Eriophorum angustifolium in these pools. Derrinea Bog supports a wide range of faunal species. However, the LIFE team are currently surveying the site as there is a lack of documented site-specific data relating to the fauna of this bog. Red Grouse have been observed here in the past. Other fauna to have been recorded here includes: Irish hare, otter, fox, skylark, meadow pipit, hen harrier, merlin, kestrel, snipe, curlew, lapwing, common lizard, and common frog. 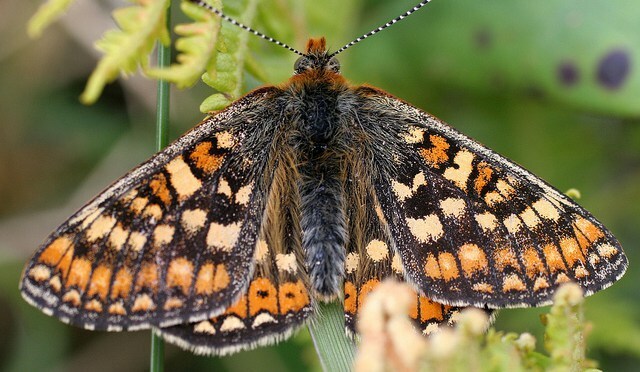 A large number of invertebrates would call Derrinea home, including the rare marsh fritillary butterfly (pictured above), bog-pool spider, water striders, dragonflies, ants, moths, beetles, great green bog grasshopper, water beetles, and many flies. 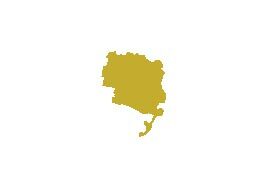 We will publish the results of our surveys here in late 2017.